Preliminary data, released Monday by the Bulgarian National Statistics Institute, NSI, showed that the seasonally adjusted Industrial Production Index is down by 1.5% in June 2011, compared to May. In June 2011, the work day adjusted Industrial Production Index rose by 2.2% as compared to the same month of 2010. In June 2011, compared to May 2011, the seasonally adjusted Industrial Production Index in the mining and quarrying industry decreased by 14.2%, in the electricity, gas, steam and air conditioning supply by 3.1% and in the manufacturing sector by 0.4%. The most significant decreases of production in the manufacturing sector were observed in the manufacture of chemicals and chemical products by 9.9%, in the manufacture of basic metals by 8.0%, in the manufacture of rubber and plastic products by 5.3%. There was an increase in the manufacture of wood and of wood and cork products, except furniture; manufacture of articles of straw and plaiting materials by 12.6%, in the manufacture of basic pharmaceutical products and pharmaceutical preparations by 7.5%, in the manufacture of tobacco products by 7.4%. On annual basis, in June 2011, the Industrial Production Index, calculated from adjusted work day data in the manufacturing sector grew by 4.5%, while decreases were noted in the mining and quarrying industry by 5.4% and in the electricity, gas, steam and air conditioning supply by 2.8%. Increases were registered in the production of intermediate goods by 5.8% and in the production of investment goods by 1.6%, while the production of energy went down by 1.5%. 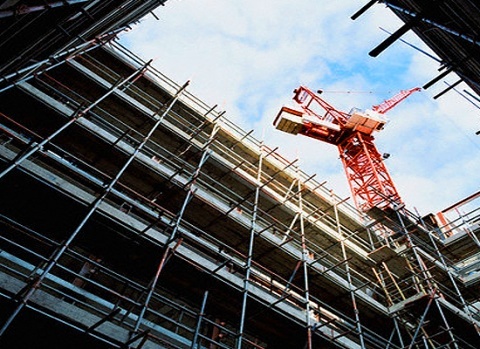 According to the preliminary data of the NSI, in June 2011, the Index of Production in the Construction sector, calculated on the base of seasonally adjusted data, was 0.5% below the level of the previous month. In June 2011 work day adjusted data showed a decrease by 2.6% in the construction production, compared to the same month of 2010. In June 2011, the construction production was below the level of the previous month. The Index of Production in building construction, calculated from the seasonally adjusted data, was the same as in May, while the production of civil engineering showed a decrease by 1.3%. On annual basis, in June 2011, the decrease of production in construction, calculated from adjusted work day data was triggered mainly by the drop of 21.5% in the civil engineering, while building construction decreased by 4.4 %. Seasonal adjustment is a statistical method, which eliminates the seasonal component of time series and it is particularly suitable for longterm comparisons and analysis of the data.